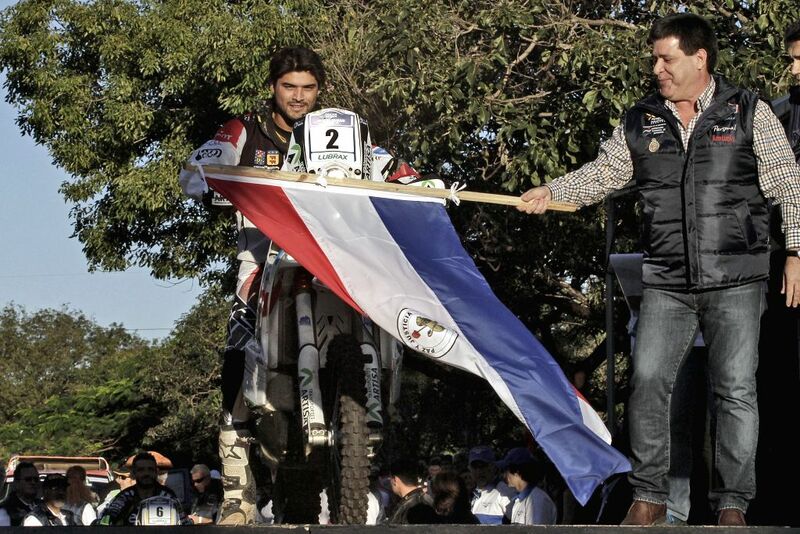 ASUNCION, July 21, 2014 - Paraguay's President Horacio Cartes (R) participates in the symbolic start of the Dakar Rally in Asuncion, capital of Paraguay, on July 20, 2014. The Dakar Series Challenge will start on July 21 in the Cordillera Department. 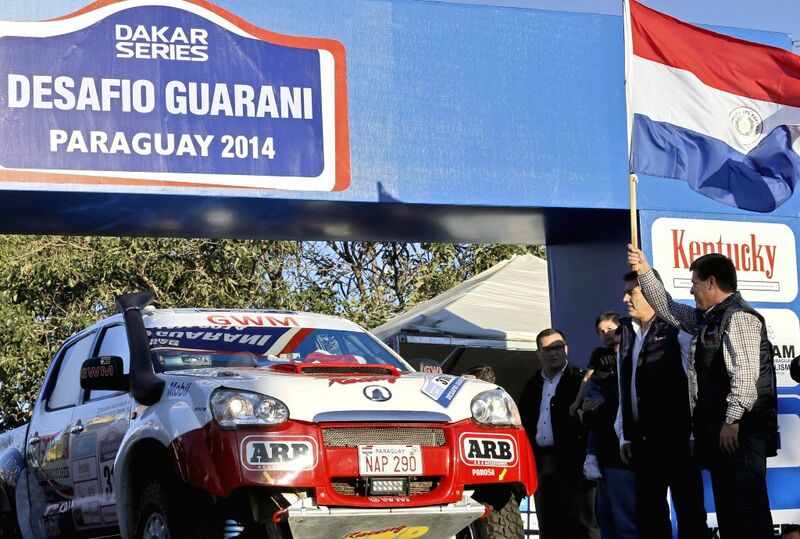 The Guarani Challenge will join the 40 route of Argentina and the Inca Challenge of Peru, to complete the Dakar Series in South America. 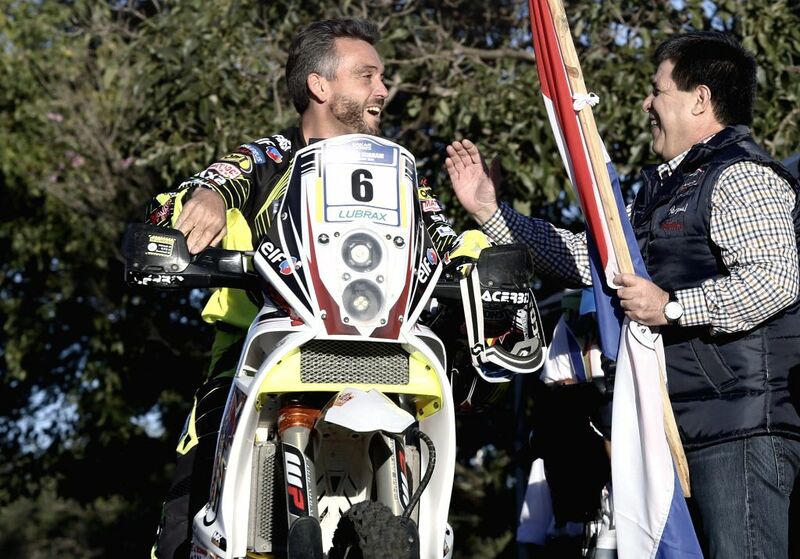 Paraguay's President Horacio Cartes (R) greets David Casteu (L) of France during the symbolic start of the Dakar Rally in Asuncion, capital of Paraguay, on July 20, 2014. 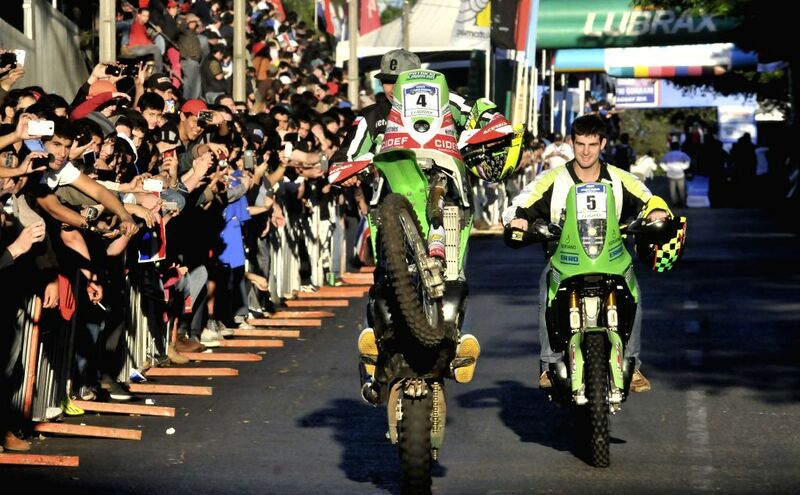 Patricio Cabrera (L) of Chile and German Fernandez (R) of Uruguay take part in the symbolic start of the Dakar Rally in Asuncion, capital of Paraguay, on July 20, 2014.